Councillors have surprised planning officials and finally backed an unauthorised traveller’s site on the north-east coast. A full meeting of Aberdeenshire Council has today voted 41-28 to grant retrospective planning permission for North Esk Park, near St Cyrus, as an official halting and touring site. The plans have been approved on a delegated grant. The council had been asked to throw out the proposals once again – almost a year after they were first rejected by 42 votes to 20. 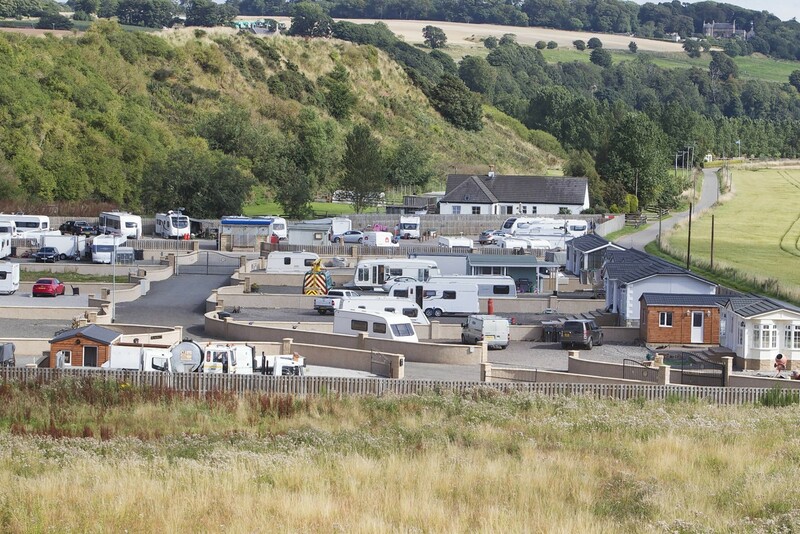 The move confirms the site as an official encampment for about 30 touring and permanent caravans. Local authority planning officials said the proposals should be rejected due to issues around flooding, drainage and the coastal location. Sepa continued to object to the application, citing flood risk from the River North Esk and fluvial and coastal flooding which could put camp residents at risk. During Storm Frank, with the Esk rising, the camp did not flood. Residents took it in two-hour shifts to monitor the water levels as the weather worsened on December 30.